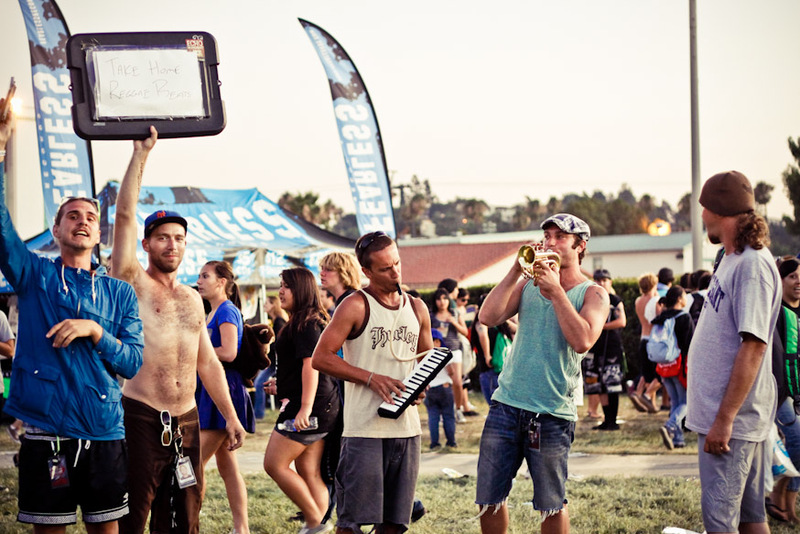 As an introduction, allow us to debut a brand new feature for you. 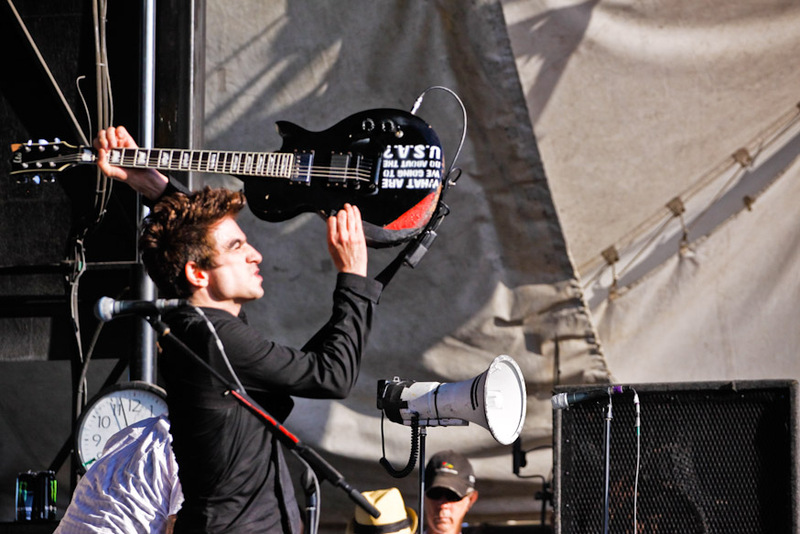 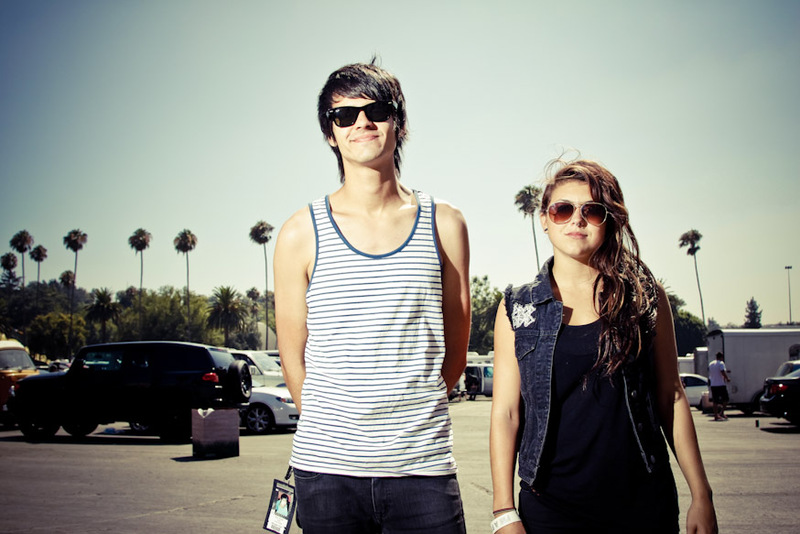 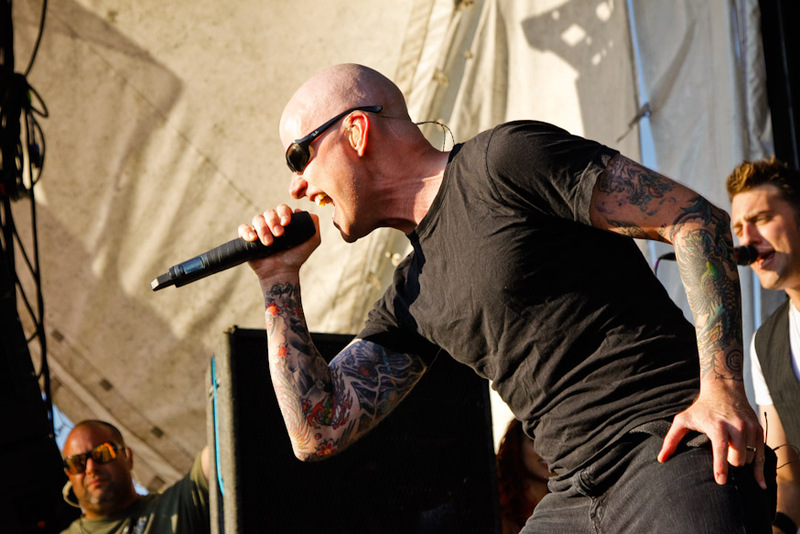 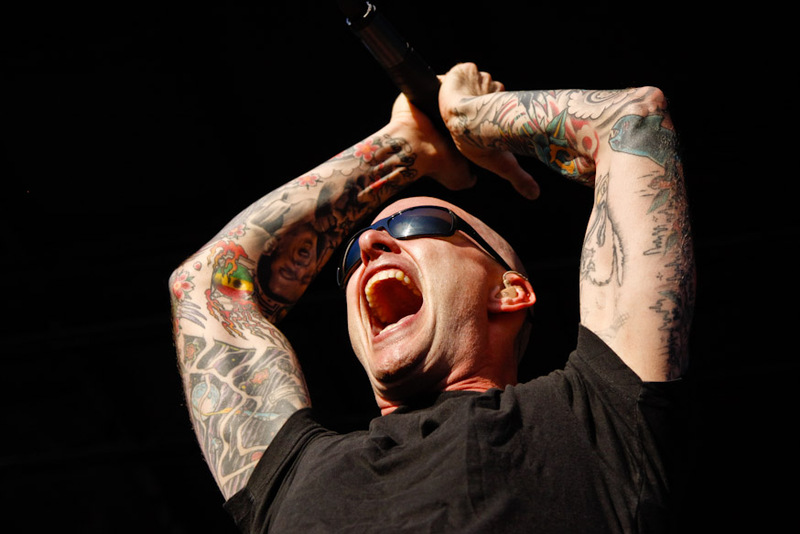 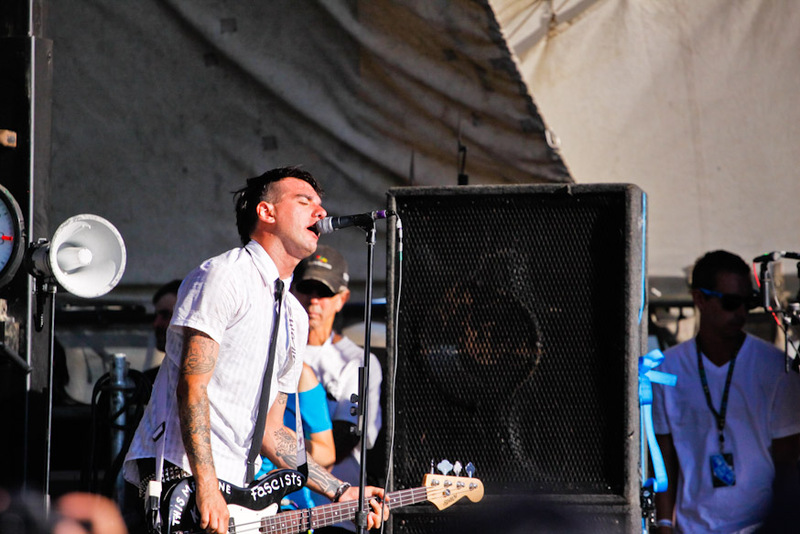 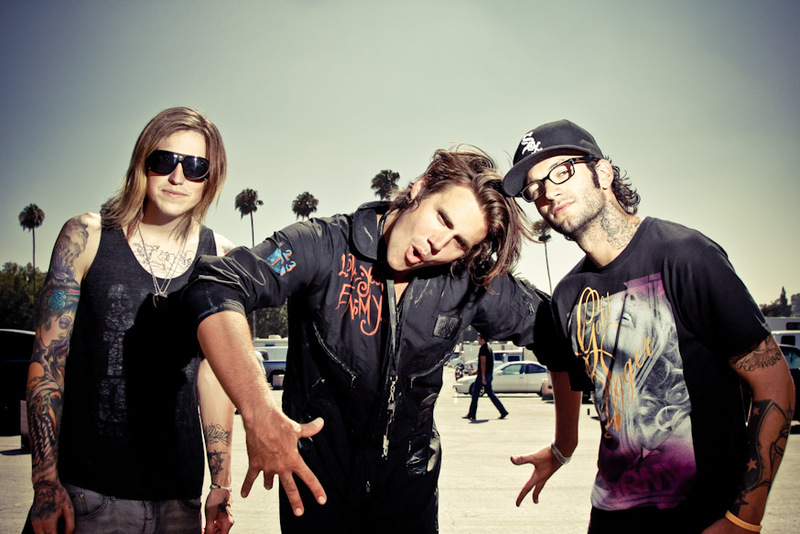 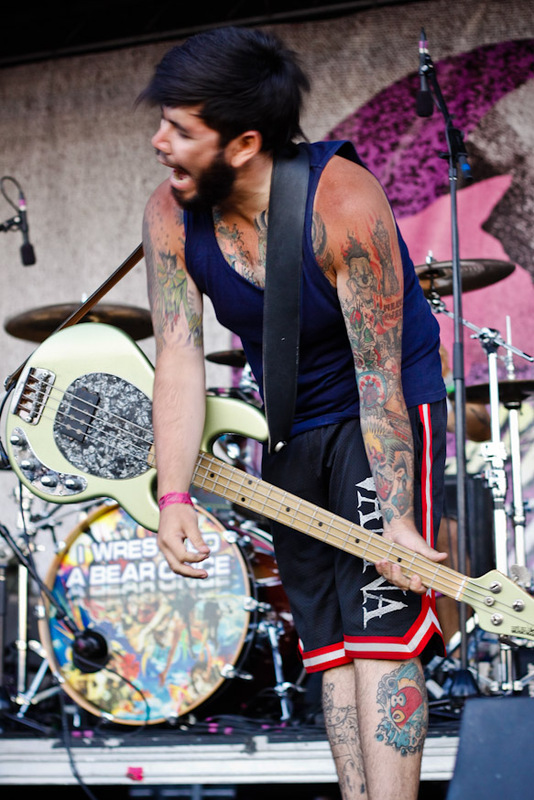 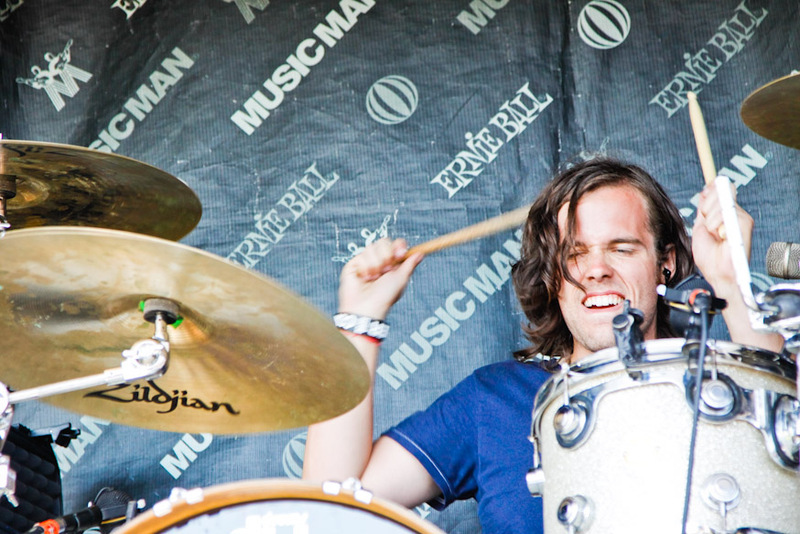 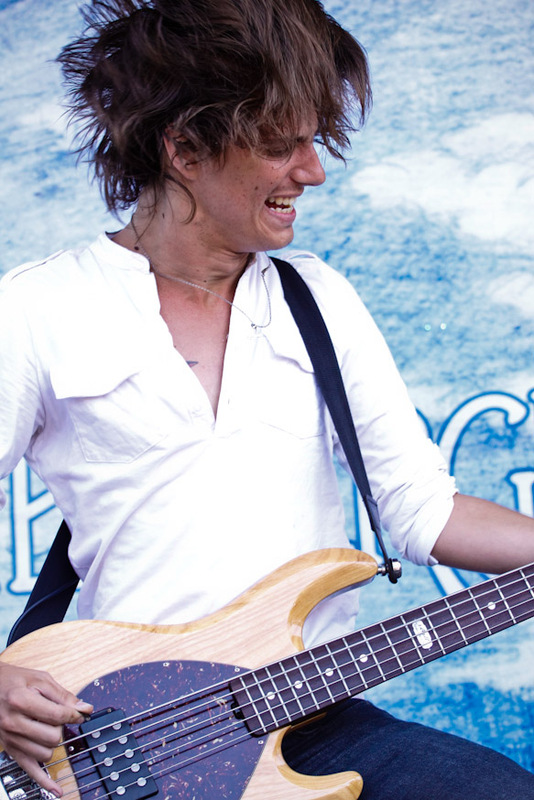 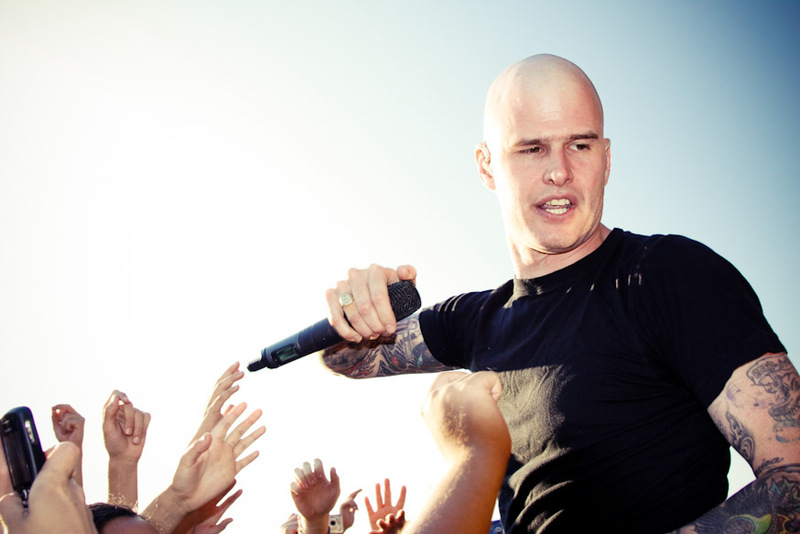 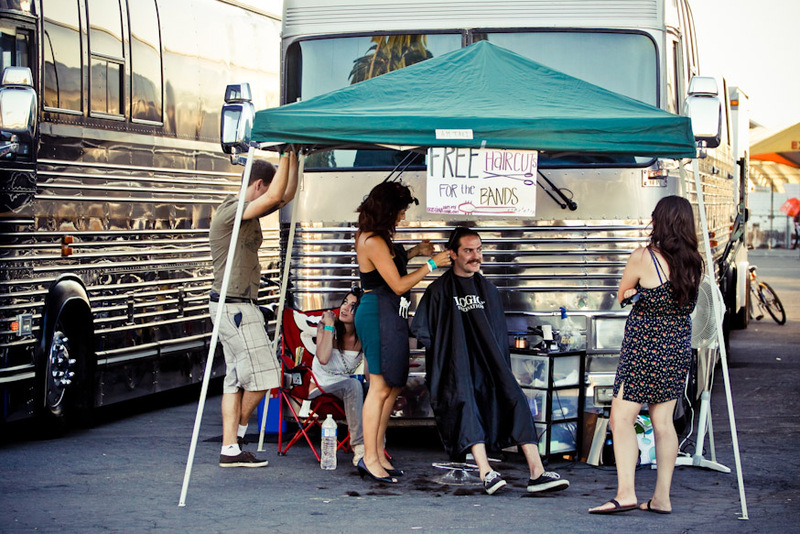 This piece ushers in eight straight days of Warped Tour 2010 coverage. 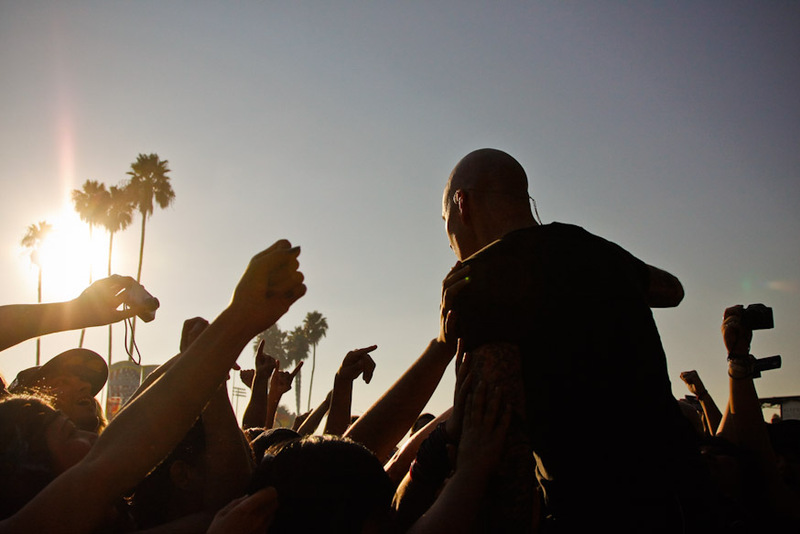 As a result of all the outstanding bands we saw, spoke with or covered at this year’s festival we decided to put something special together. 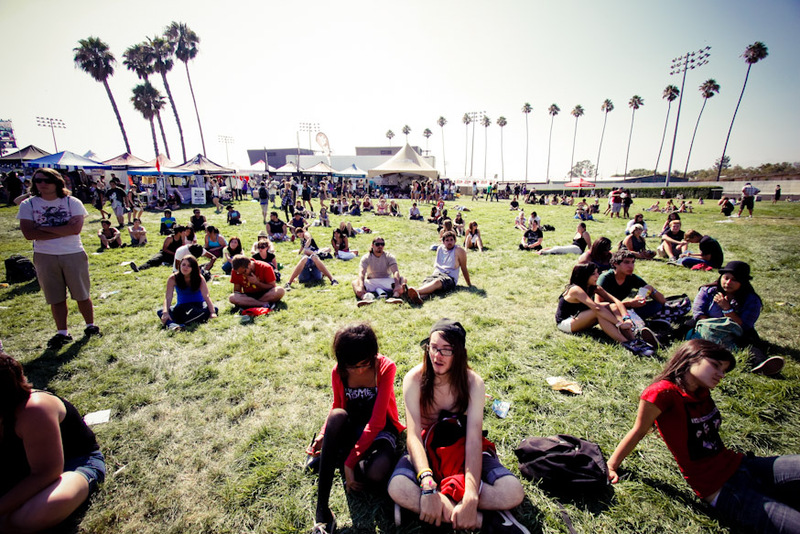 Preceding six interviews and our main festival coverage, here we have for you a special full-frame photo essay. 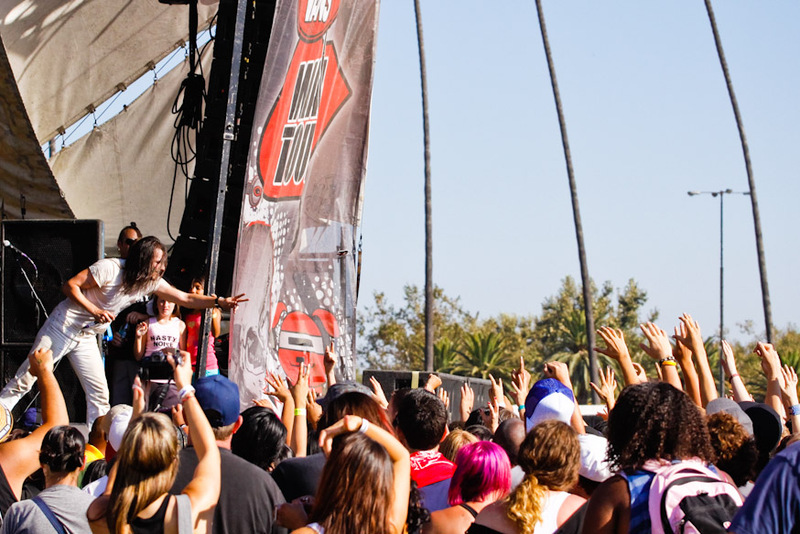 This feature will show you in the fullest frame we can provide, photos and captions of what our team experienced at this year’s Warped Tour in Pomona California. 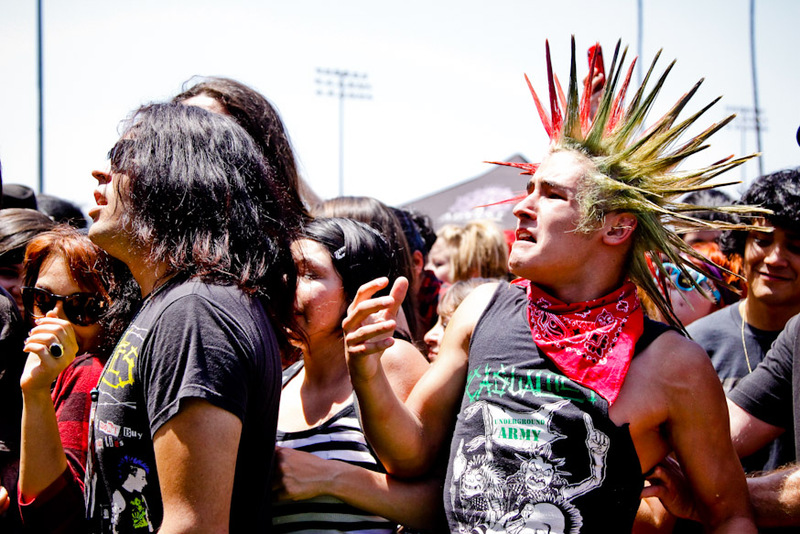 The Warped Tour is an all ages music and extreme sports festivals that stops all around the United States. 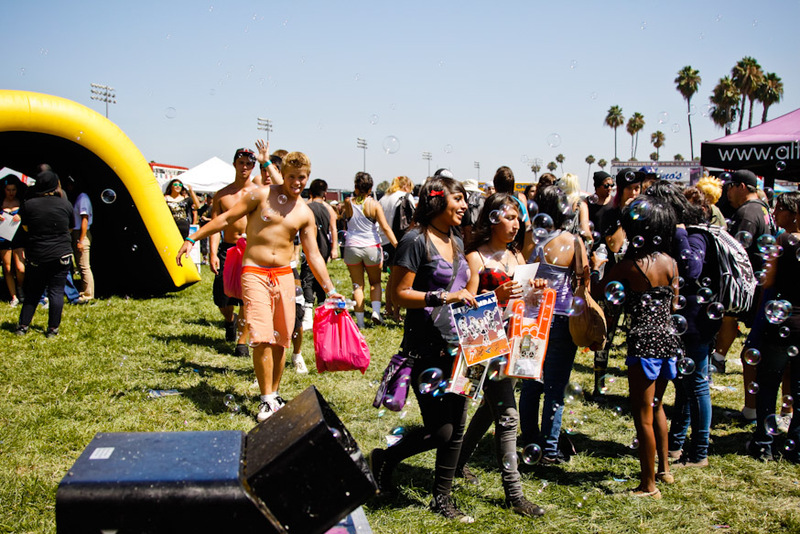 Festival attendees cooled off from the hot summer day by standing in front of fans with misting machines. 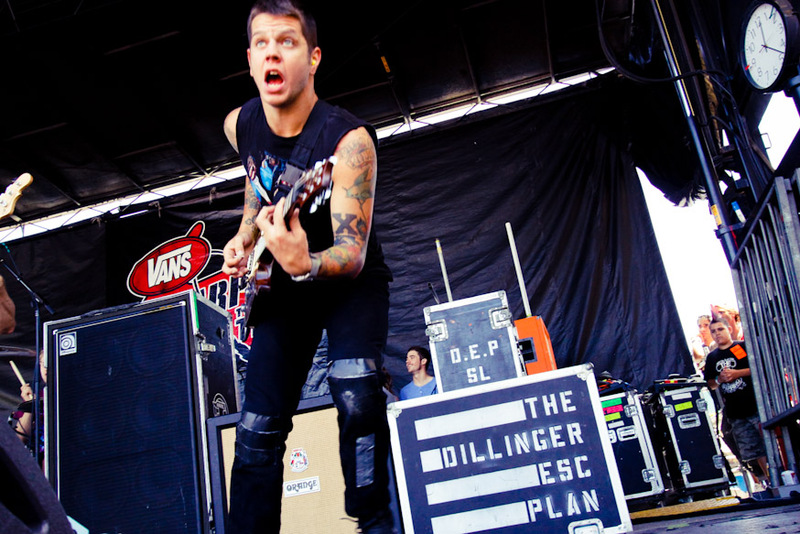 The Dillinger Escape Plan rocked the stage and played from their forthcoming album 'Option Paralysis'. 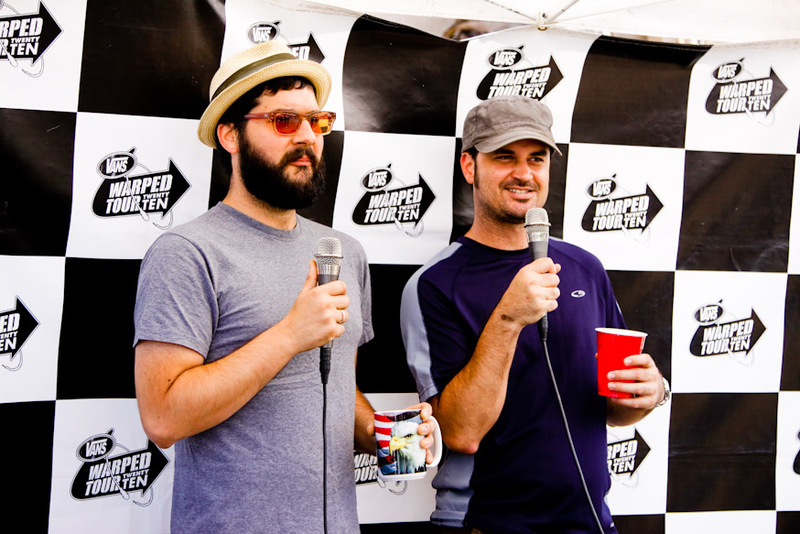 Warped Tour veterans, Reel Big Fish, giving interviews backstage. 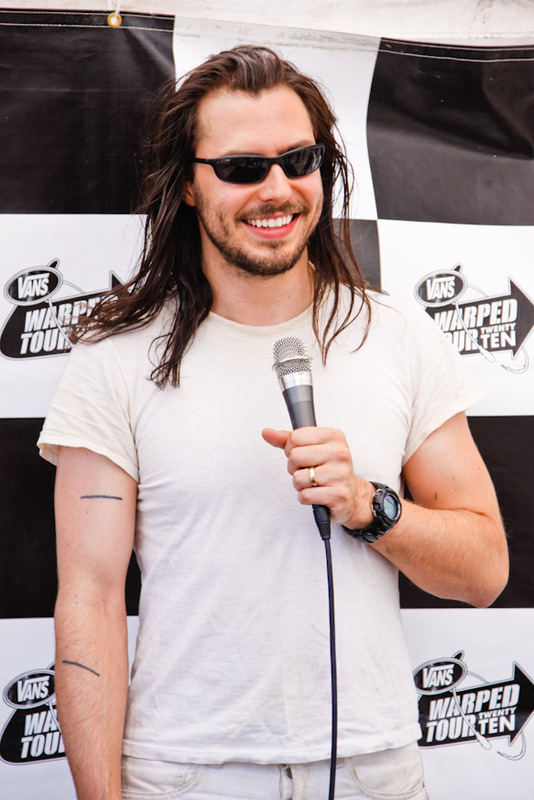 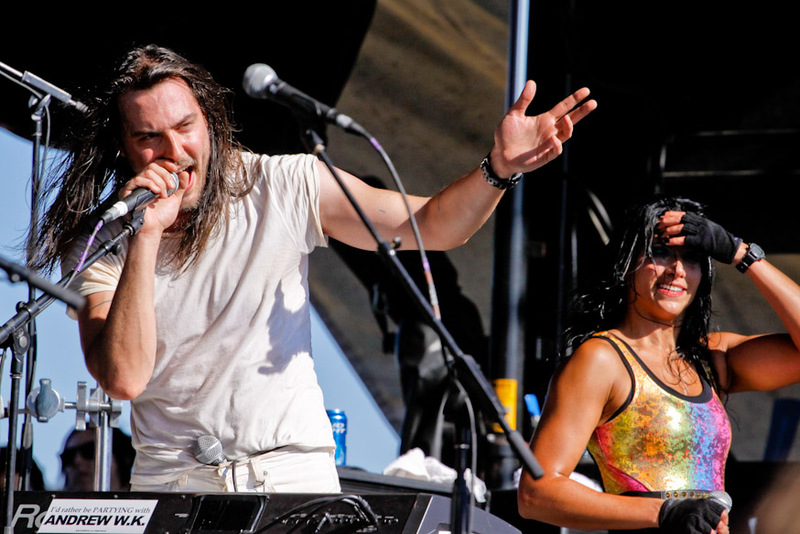 Meeting the press backstage at the Warped Tour, Andrew WK discusses about life on the road and how to party hard. 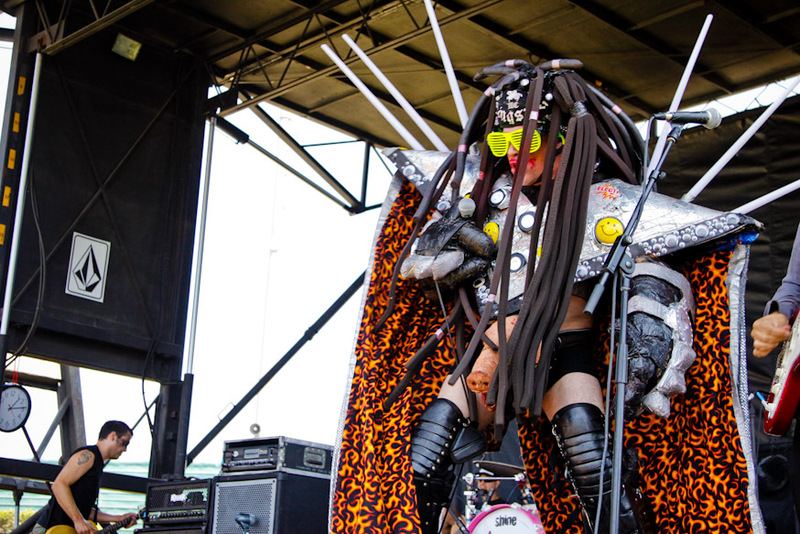 Many bands at the Warped Tour have interesting costumes, but this costume from Green Jelly, was quite baffling. 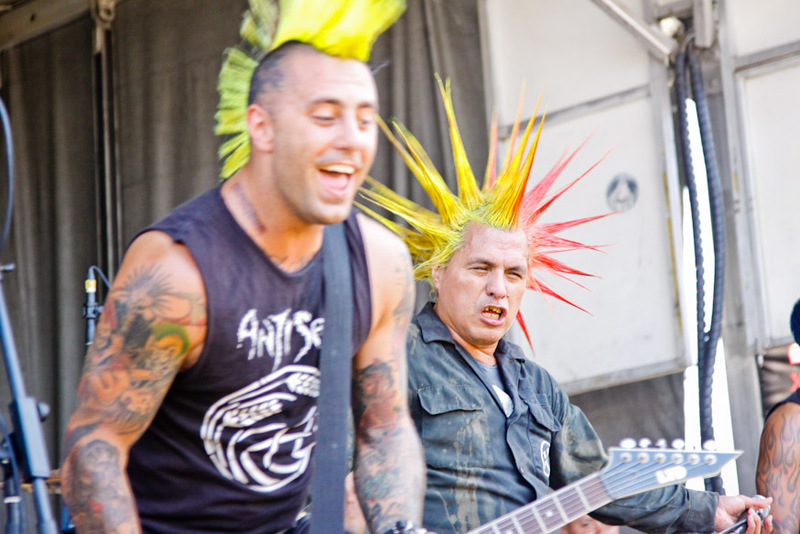 Hailing from New York, another punk rock veteran of the Warped Tour, The Casualties. 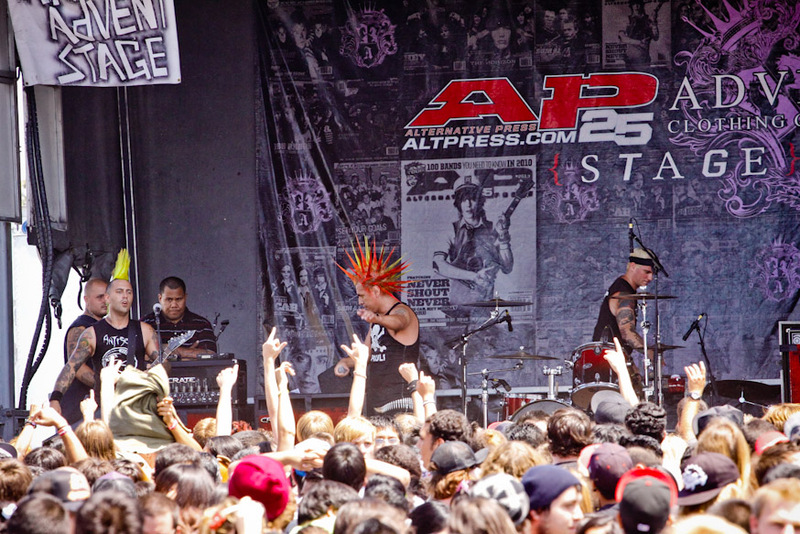 A huge crowd forms around the AP stage to see the Warped Tour veterans, The Casualties perform. 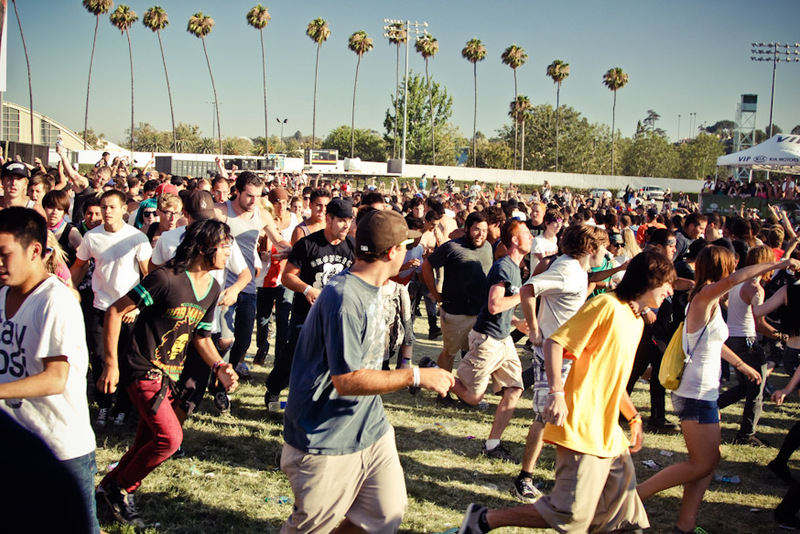 Another extreme sport at the Warped Tour, the Ring of Death, where a large open space forms in the middle of the crowd and then kids jump in and run in a giant circle together. 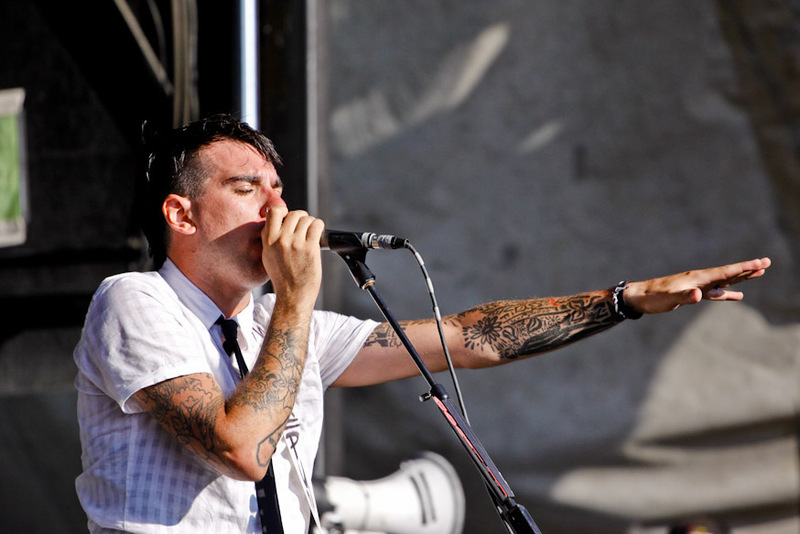 Sometimes even drawing blood and causing injury. 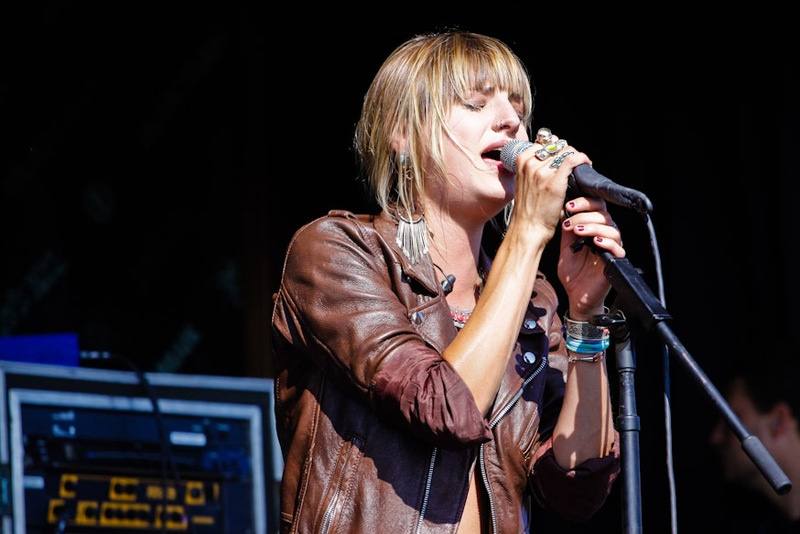 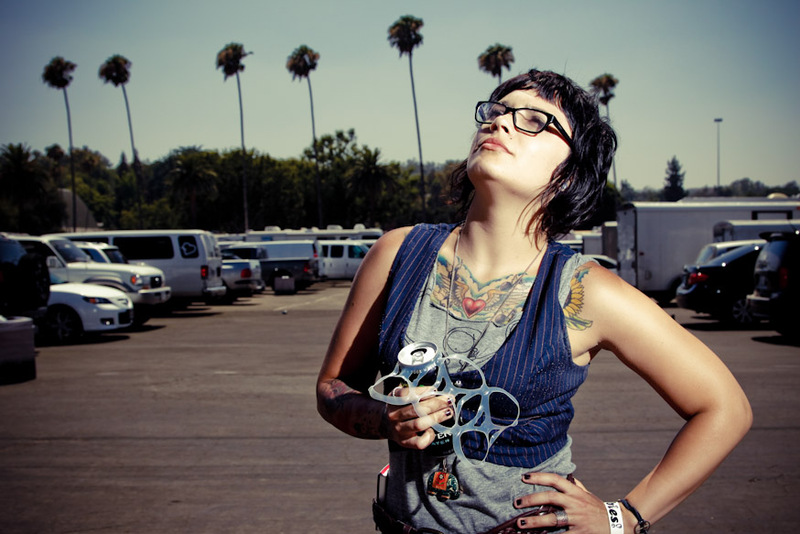 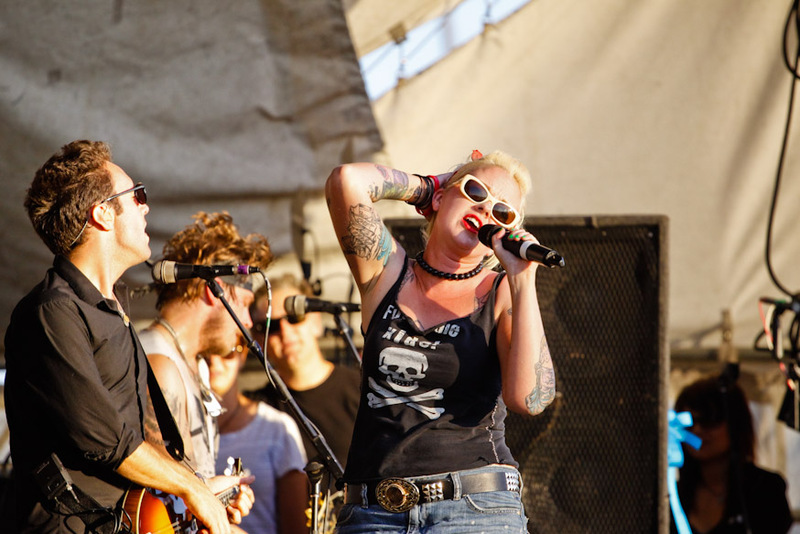 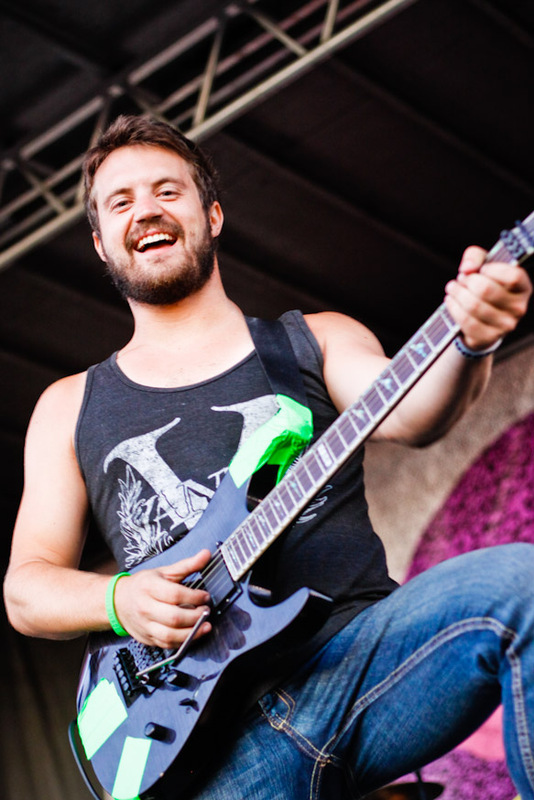 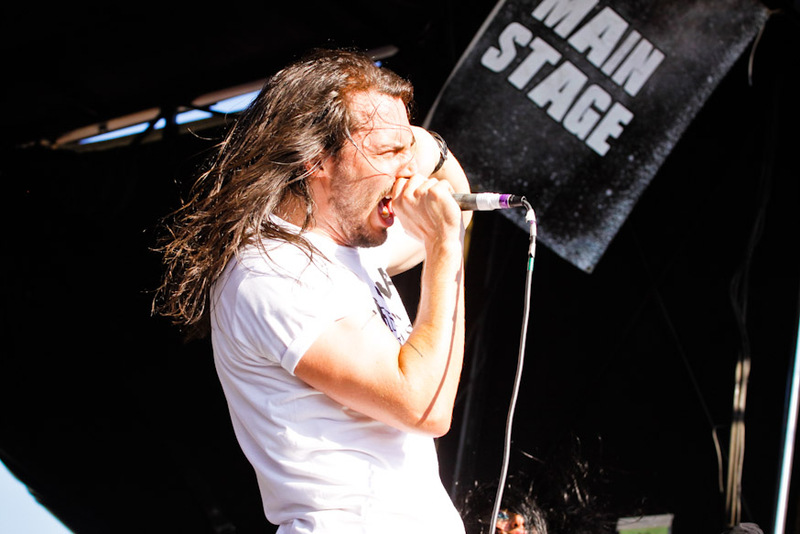 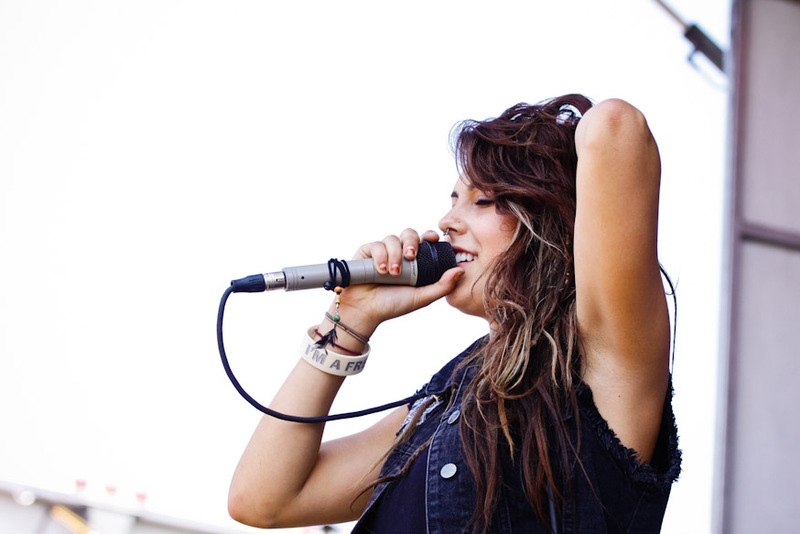 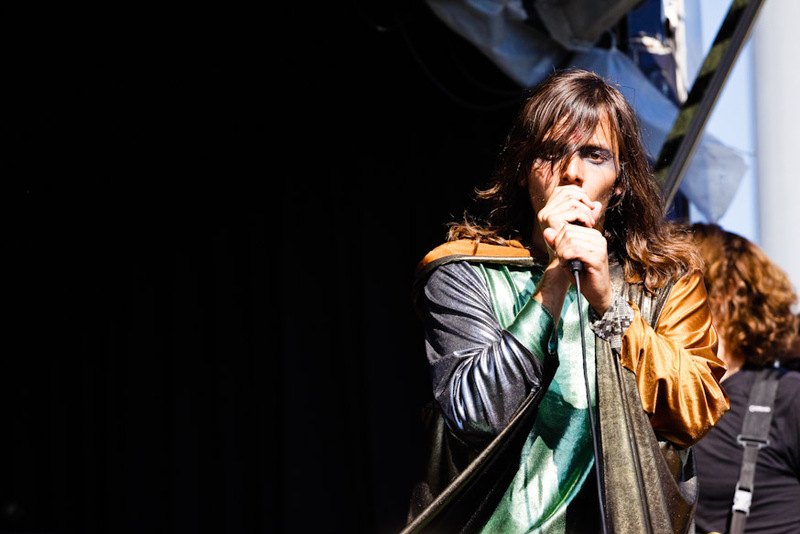 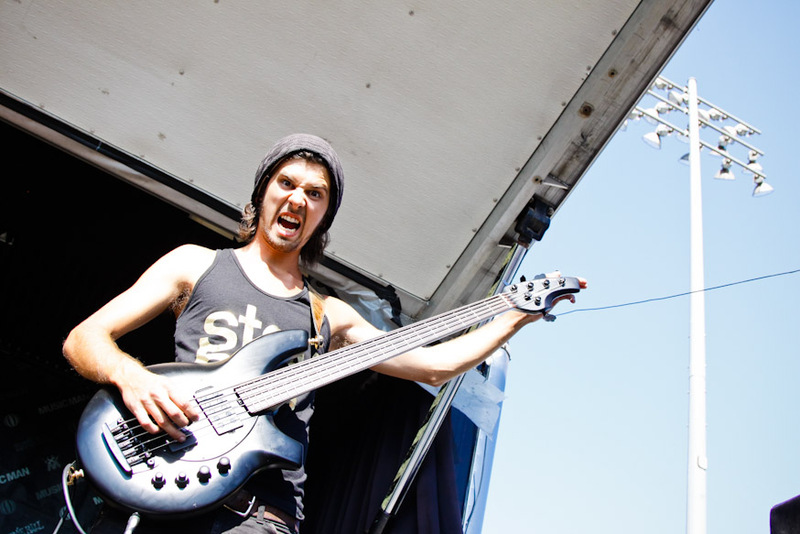 Sierra Kusterbeck, lead vocalist of VersaEmerges, take to the stage at the Warped Tour. 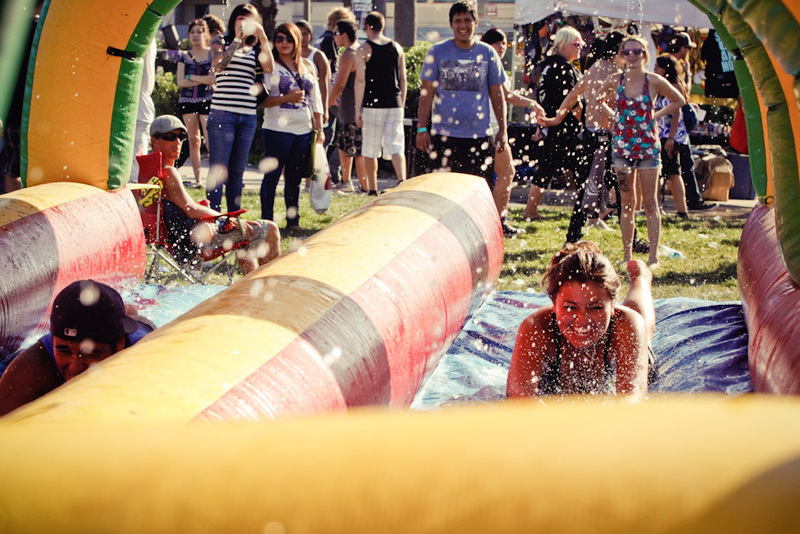 There's nothing like a good old fashion waterslide to cool you down at the Warped Tour. 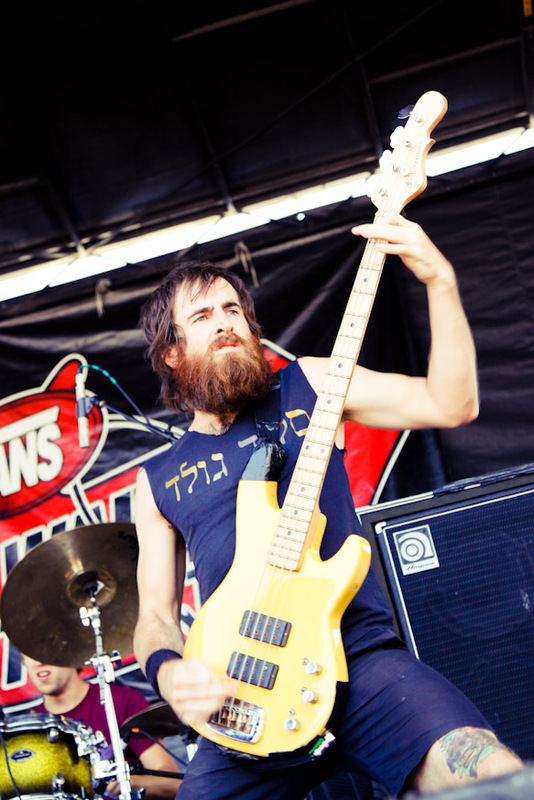 Aussie band Closure in Moscow, toured the US this year with the Warped Tour. 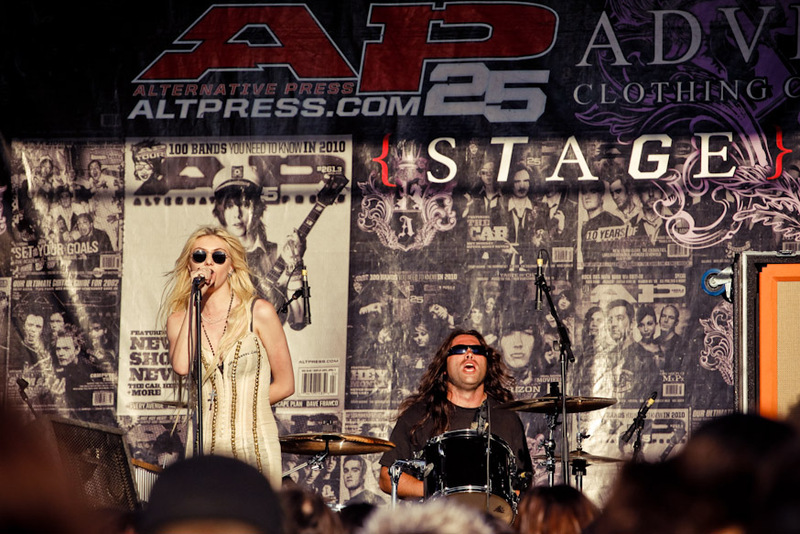 Automatic Loveletter's Juliet Simms leads on guitar and draws the crowd in with their emo-influenced rock set. 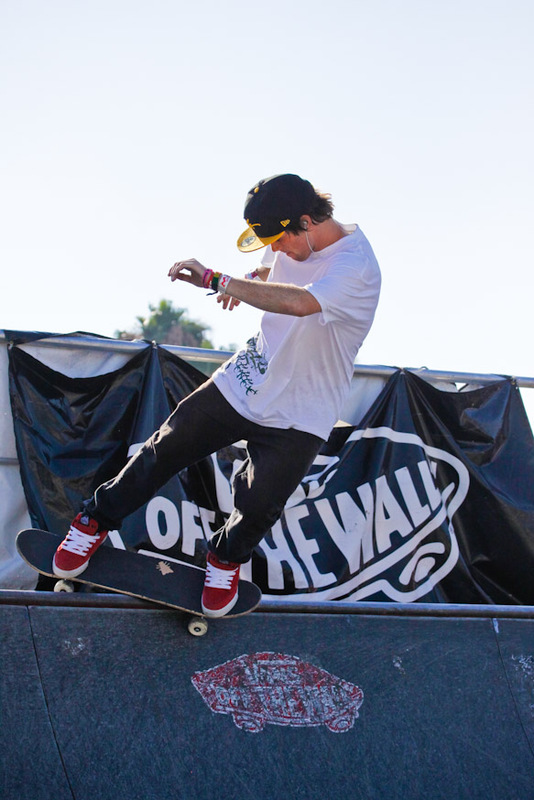 Warped Tour sponsor, Vans, set up a half pipe ramp for kids to skateboard throughout the day. 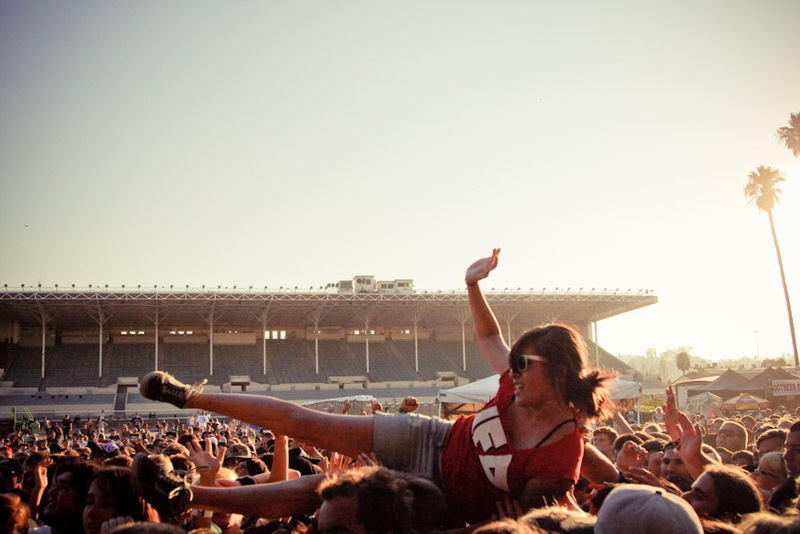 Crowd Surfing is also a sport at the Warped Tour festivals. 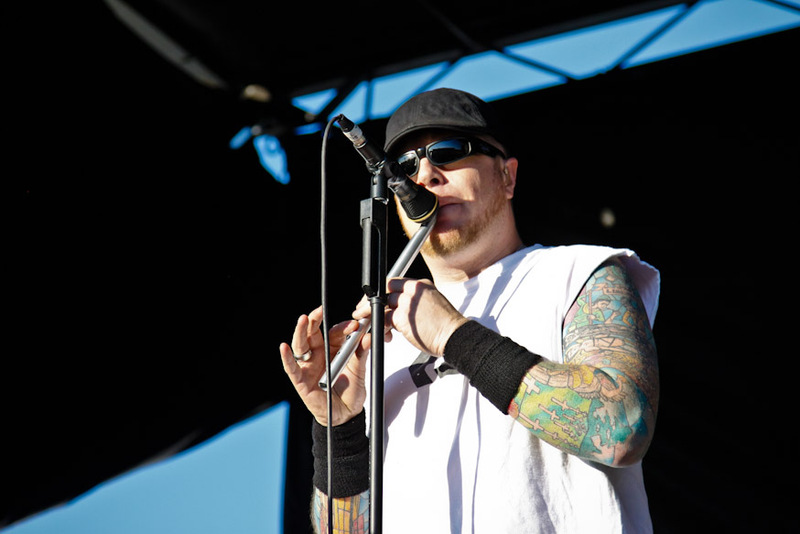 Special Guest, Stephanie Dougherty of the Deadly Sins, joins the Dropkick Murphys to sing some rocking Celtic tunes. 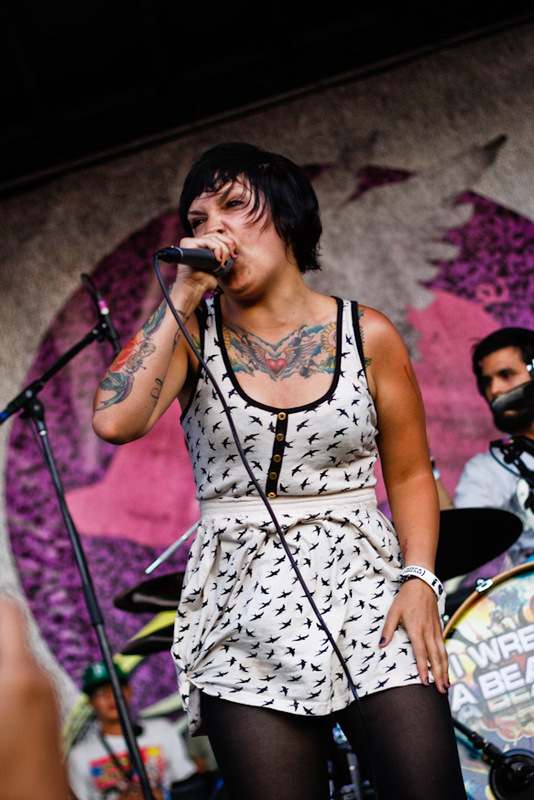 Lead Vocalist, Krysta Cameron, sings/screams from their re-released album "It's All Happening"
iwrestledabearonce makes you wonder who would win between the band and a bear, I think the band would win.